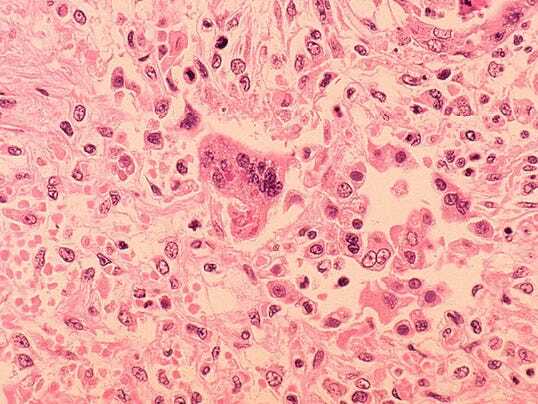 Problem is that the measles vaccine is most often only available as part of the MMR vaccine, of which the rubella component is derived from aborted fetal stem cell lines. So those of us who are morally and ethically opposed to using such vaccines can't get just the measles vaccine or just the mumps vaccine while declining rubella. I'm surprised that this article didn't address what I think is the most obvious parallel--the fact that many people will vehemently defend a parent's right to make medical decisions for their child even when the decisions are manifestly harmful to the child, because it's acceptable to treat children as the mere property of their parents. As a libertarian, I admire your effort to push individualistic principles of justice as far as possible. However, this is a case where requiring vaccination is ultimately the best way to allow individuals the maximum amount of freedom, for all the reasons you said. (You can think of it as a public good problem. Everyone is using the same space in which the disease can be transmitted, so everyone has to submit to certain rules concerning how to use that space.) If the scientific consensus is sufficiently strong, the best policy is just to mandate vaccination. Because those who don't vaccinate threaten herd immunity. There is a small but significant percentage of people who, for whatever reason, can't be vaccinated because of age or autoimmune disease like Guillain-Barre syndrome or yeast allergies or whatever. These people depend on herd immunity, because they travel about unvaccinated to deadly diseases, but if those diseases aren't present in the population, they're safe. But when vaccination rates fall, their chances of encountering an unvaccinated person through chance rise. I've never been a fan of the bodily autonomy argument, but the reason I'm not a fan is very different from what you might at first think. The problem starts with the Fact that the argument is about denying assistance to another PERSON, and of course the primary conundrum is that persons generally have right-to-life. THEN the argument, which supposedly works to deny needed assistance to persons, is applied to unborn humans, AS IF A FOUNDATION PRECEPT OF ABORTION OPPONENTS WAS BEING ACCEPTED INSTEAD OF REJECTED. Such a thing is no smarter than trying to answer a "loaded question" without tackling the detrimental assumptions built into the loaded question (classic example, "Have you or have you not stopped beating your spouse?"). The foundation-precept that the pro-choicers must tackle is the notion that unborn humans qualify as persons, when in Actual Objective Generic Fact, regarding differences between ANY type of person ANYWHERE in the Universe, and any type of mere-animal organism anywhere in the Universe, unborn humans cannot possibly as persons. They are mere animals, non-persons, and non-persons generally don't have right-to-life. There is no REASON for pro-choicers to make the Bodily Autonomy Argument, when there is a MUCH better argument that can be made! So, regarding the current blog post on the measles problem, what might I recommend here problem? Simple! 2. If you get the measles, and are pregnant, consider getting an abortion. Obviously there is no chance it will be born defective if it is aborted first. 3. If you still want offspring, just get pregnant again. It is generally very easy to do, after all! (1) The fact that z/e/fs are not sentient until at least the third trimester is the best available argument that it was not immoral for these women to have abortions. (2) The bodily autonomy argument is the best available argument that it is immoral for these politicians to prevent women from getting the abortions that they want. The two arguments are both important, because they are arguing different things. It is not a ridiculous piece of advice, because it is a known fact that most parents used to do exactly that for many centuries, to emotionally protect themselves from a childhood death rate that claimed roughty 50% by age three. We have greatly improved THAT rate, but the miscarriage rate of about 15% is still the same. Therefore it is NOT a good idea to CHOOSE a lot of emotional attachment to an unborn human --not unless you are FULLY aware of the Natural Death Rate, and won't mind being emotionally traumatized if a miscarriage happens. Yes, I'm aware that for SOME women, becoming pregnant is a major problem. But not for most, and my recommendationI was for "most". The relatively few who struggled to become pregnant should, among other things, be in the forefront of encouraging people to get vaccinated, while simultaneously staying as far away as possible from the unvaccinated. I can wish them luck, but I for one am not going to forget Murphy's Law. Even without disease-exposure and abortion, we can expect some of those pregnancies to not be carried to term because of Natural miscarriages. "(1) The fact that z/e/fs are not sentient until at least the third trimester is the best available argument that it was not immoral for these women to have abortions." Do you also consider it immoral to kill sentient non-human animals? "(2) The bodily autonomy argument is the best available argument that it is immoral for these politicians to prevent women from getting the abortions that they want." From which perspective? From a Constitutional perspective? From the perspective of moral justifiability? If you are talking from the perspective of moral justifiability, then I might need to disagree with you on this. I think it reasonably likely that the day he was born, James Elgin Gill was not sentient, and thus by my moral standards, was not a person and killing him would have been as morally justifiable as killing (say) an adult pig. We extended Gill the same legal protections as any other newborn baby or older child. The sentience=personhood argument says that we should not have done that. The reason why I don't care that Gill had legal personhood, but care deeply that we not extend legal personhood to an unborn fetus at the same stage of development, is bodily autonomy. I have argued elsewhere that the bodily autonomy argument does not preclude a post-viability abortion ban as long as the law specifically allows labor induction on demand. (I think such a ban is a bad idea, but for other reasons.) Gill is a world record for surviving preterm birth, meaning that inducing labor on another fetus at that stage of development would almost certainly kill them. Thus, granting a fetus the right "not to be killed deliberately" would effectively preclude induction at this stage, and thus violate its host's bodily autonomy. I applaud your consistency on this. That said, why exactly would this be immoral if it is done painlessly and if these animals (or at least some of them) have no concept of their existence? "I think it reasonably likely that the day he was born, James Elgin Gill was not sentient, and thus by my moral standards, was not a person and killing him would have been as morally justifiable as killing (say) an adult pig. We extended Gill the same legal protections as any other newborn baby or older child. The sentience=personhood argument says that we should not have done that." I think that you mean "self-awareness" here as opposed to "sentience". "The reason why I don't care that Gill had legal personhood, but care deeply that we not extend legal personhood to an unborn fetus at the same stage of development, is bodily autonomy." I think that you need to separate personhood and bodily autonomy here. After all, even if prenatal humans are considered to be persons, then *this in itself* would mean they still wouldn't be able to use your body any more than an adult human being would. I get that you consider abortion to be morally justifiable due to bodily autonomy, but considering abortion to be morally justifiable and considering all prenatal humans to be persons are not mutually exclusive positions (after all, one can say that prenatal humans should be considered persons but should still be unable to use your body in order to survive). 1. Do you not consider prenatal human beings to be persons because they are not viable, and/or for another reason (such as them not being sentient and/or self-aware)? 2. Would you support changing the law (if such an opportunity purely hypothetically ever arose) in order to legalize all painless elective late-term abortions and/or to legalize painless elective infanticide (at least before a this infant reaches a certain age/milestone in his/her development)?
" I have argued elsewhere that the bodily autonomy argument does not preclude a post-viability abortion ban as long as the law specifically allows labor induction on demand." In that case, I will look at these arguments of yours elsewhere and get back to you on this. "(I think such a ban is a bad idea, but for other reasons.)" "Gill is a world record for surviving preterm birth, meaning that inducing labor on another fetus at that stage of development would almost certainly kill them. Thus, granting a fetus the right "not to be killed deliberately" would effectively preclude induction at this stage, and thus violate its host's bodily autonomy." I think that I would agree with you here.